WHY ARE SMALL NUISANCE HITS A BIG DEAL? Crash cushions are often placed close to traffic and at the leading edge of work zones. Whenever anything is close to traffic, it is bound to be bumped, rubbed or hit by passing motorists and even semi-trucks that misjudge turns or lane width. Small nuisance hits are a reality for all crash cushions and happen every day – sometimes several times a day. At first glance a little bump or a partial impact might not seem like a big deal. On the surface, you might see a skid mark on the side of a crash cushion or a cracked nose reflector, but the underlying damage might be something much more dangerous. Many repairable/resettable crash cushions rely on shear bolts, telescoping fender panels and sled deceleration components that require the system to be in proper alignment to allow it to telescope backward during an impact. If the system is bumped, shear bolts are snapped, or deceleration components are shifted, the crash cushion might not be able to fully attenuate a design impact. 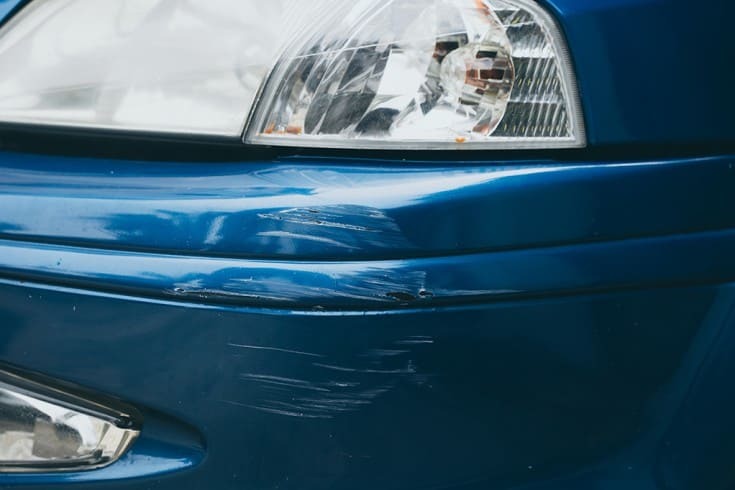 Nuisance hits are possibly more dangerous than full impacts, because the damage they cause is often hidden unless you actively inspect the crash cushions. There is one crash cushion that is designed to withstand countless nuisance hits and remain in service. The REACT 350’s self-restoring plastic cylinders simply compress and return to their original position. The simplicity of the design makes the REACT 350 more resilient during nuisance hits.